International Summit of the Eight and the American Institute of Food and Wine’s Pageant of Chefs in Los Angeles. 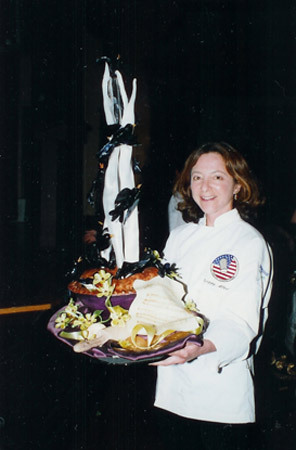 Her own businesses included A la Carte, a trend setting restaurant in Boulder, Colorado, and Confection Art, selling decorating products including her book, ‘Modeling Chocolate Made Easy’, custom cakes, and confections. Confection Crafts is her next step to make natural decorating products easier to use and available to everyone.